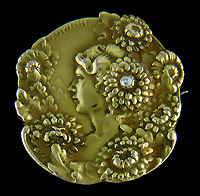 Please send a friend an email with the above Art Nouveau Autumn Brooch. A friend thought you would enjoy the above Art Nouveau Autumn Brooch. Please click the picture or link for more photos and details.